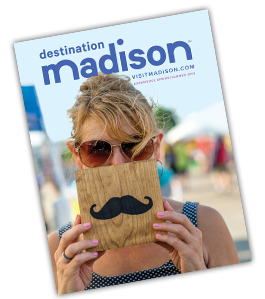 Madison is famous for great shopping, amazing food and a talented art scene and now these three community assets come together for a unique urban experience. The 3rd Annual Madison Night Market is a celebration of Madison's unique and inspiring creative culture. Vendors showcase handmade products, local art, artisan gifts, prepackaged foods and fresh produce. The event includes live music, special visiting food carts and pop-up restaurant experiences. Held the 2nd Thursday of the month, more than 5,000 attendees made it out to each of the 4 markets last year.